I shall call upon you, Mother of God, and you will hear me; your praises will gladden my heart. I have called to you in trouble, and you have heard me at your throne in heaven. Take up my cause, Mother, for I have departed from my innocence; but because I have hoped in you, I shall not lose my soul. To you, Mother, have I pleaded after having wandered from God, and I was saved by the power of your intercession. In you, Mother, I place all my hope, because of your most loving compassion. Into your hands I entrust my souls and body, my whole life and the hour of my death. 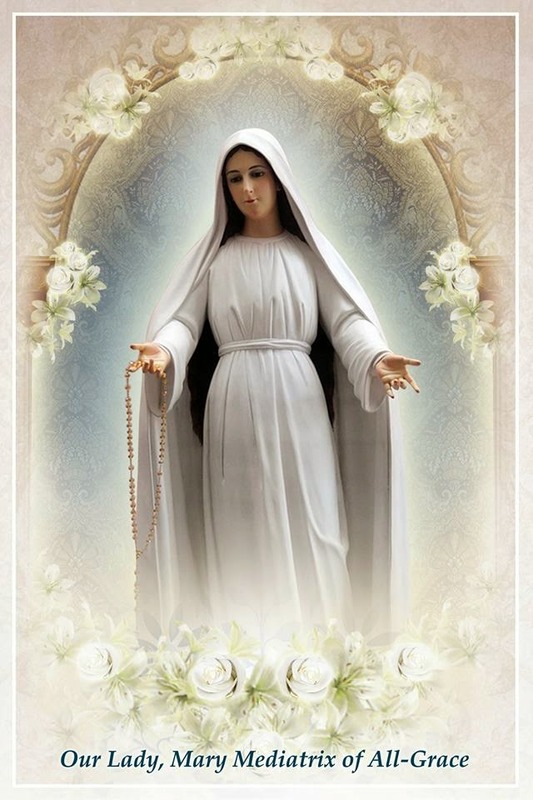 Intercede for us, Mother of God and Mediatrix, who have brought salvation to mankind.